The Amrotec X-1 is the world’s most compact mixed money discriminator with a dedicated reject pocket. The Amrotec X-Count+ Advanced Currency Counteris an advanced, up-to-date and rebust Currency Counter with certain value counting functions. 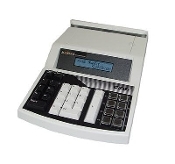 Billcon D-551 Currency Discriminator and Counter allows operators to be more efficient and cost-effective, they spend less time counting and more time helping customers. The Duplo DF-777 Fully Automatic Folder precisely folds documents such as brochures, menus, letters and invoices at up to 135 letter-size sheets per minute. 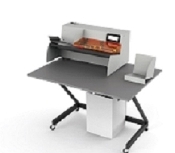 The Duplo DF-980 Automatic Paper Folder is the quietest tabletop folding machine in the industry. The Duplo V-417 Cut Sheet Burster automatically separates pre-perforated forms and stacks them in sequential order. Ideal for jogging small quantities of checks in a fast and simple operation. The CheckMate Jogger's compact size allows strategic placement close at hand. 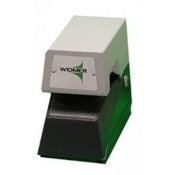 It weighs less than 10 pounds and is ideal for jogging checks prior to scanning or batching. For settling the contents of incoming mail prior to opening by automatic mail opening machines, select Model J-1 with 2-pocket rack. The ultimate pressure seal machine for small to medium sized offices. A user-friendly and simple to operate desktop Pressure Seal machine. A tabletop machine with large in-feed hopper delivering sealed forms to an automatic shingle delivery conveyor. All fold styles are accommodated. An optional vertical stacking out-feed conveyor is available. #WRA008530. Fits M.Yale 811/812/13/930A/931, Duplo V130, Widmer RS, Burroughs T2700. #WRA6381541B. Fits M.Yale 911/912/6380/6385, Duplo V130, SR VLI, 3500. #WRA008575. Fits M.Yale 811/812/13/930A/931, Duplo V130, Widmer RS, Burroughs T2700. #WRA6381541F . Fits M.Yale 911/912/6380/6385, Duplo V130, SR VLI, 3500. 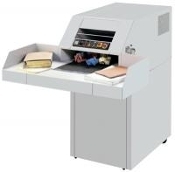 Lassco LJ-2 Single Bin Jogger - Perfect for quick print and mail rooms. Jogs a full ream of 8.5X11" paper. Ideal for checks and envelopes. 115 volt, 60hz, 2.2 Amp, 1550 RPM motor. Weight 24lbs. Shipping weight 32lbs. Lassco LJ-4 Heavy duty tilted deck Jogger - Large 17X17" table allows for perfect alignment of forms and paper products. Jogs a full ream of 11X17" 20# bond paper. 115 volt, 60hz, 2.2amp, 1550 RPM motor. Weight 28lbs. Shipping weight 36lbs. Lassco LJ-8 Flat Deck Jogger - Large 20X14 table allows for handling bulky material. Designed for glossy stacks of paper, newspapers and magazines. 115 volt. 60 hz. 2.2 amp, 1550 RPM Motor. Weight 26 lbs. Shipping weight 34 lbs. For use in quick-print, copy shops, in-plant, offset and on-demand. Ideal for photo shops, schools, small print shops and businesses. Cuts a full 12" length or depth and a stack of 1 1/2" of 20 lbs. bond paper - that's over 350 sheets. 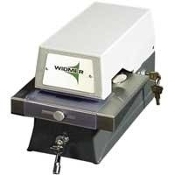 Check signing machine that is completely secure with a locking security system, single key access to help make sure the signature plates cannot be removed. 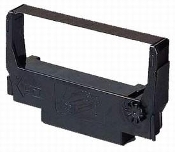 #88100123 - Compatible Maverick MICR 1,2,6 & 7 Series Check Encoder MICR Ribbon(Box of 6). #057-49005-1 - Maverick MICR III Check Encoder Ribbon(Box of 6). #039-49015-1 - Maverick MICR IV & V Series Check Encoder Ribbon(Box of 6). The Maverick MX-3 check encoder is a compact robust encoder that was designed to be a low cost, low to medium volume, reliable Exception Item encoder. The Maverick MX-6's state-of-the-art circuitry, which includes USB2 communications and an ARM processor, allows you to encode twice as fast as a MICR VI and includes machine to machine cloning. Embossed printing feature reduces the risk of alteration. Automatically inserts dollar signs, cent signs, commas and decimals. Prints original plus two copies (3 part check). The MBM 1500S is top feed, adjustable air suction feed system, suitable for digitally printed and coated stocks. The MBM 208J is a 3 roller friction feed system that sets up easily for 6 standard and non-standard folds. Convenient digital control panel includes LED readout counter and touch-button function keys. The MBM 352F is a dual roller friction feed system, folds a wide variety of stocks, including carbonless sheets. Adjusts in seconds for standard and custom folds. The MBM 352S folder is a bottom-feed, top loading air suction system, suitable for coated stocks. Ideal for high-volume folding. Variable speed contro. Maximum speed of 30,000 sheets per hour. The MBM 408A is a 3 roller friction feed system with 6 pre-programmed standard folds and stores 18 custom folds in memory. The MBM 508A is a 3 roller friction feed system with 6 pre-programmed standard folds and stores 27 custom folds in memory. Control panel includes LED 4 digit counter with batch and total functions. 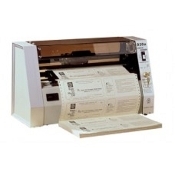 The MBM 98M manual paper folder is an efficient, state-of-the-art paper folder. 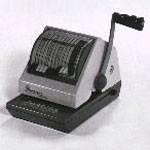 The 93M offers a programmable counter with batch and total functions. Super Micro-Cut (SMC) shredders produce a shred particle that meets the standards of the highest DIN security level (P-7). 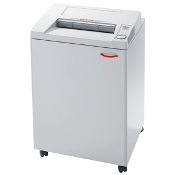 Attractively priced Centralized shredder with ECC (Electronic Capacity Control) and a super wide, 16 inch feed opening. Shred bin holds 44 gallons. Heavy duty, 1 3/4 horsepower motor makes the 4002 a perfect fit for continuous, high volume shredding environments. Cross-cut models are equipped with an automatic oiler. Super Micro-Cut (SMC) shredders produce a shred particle that meets the standards of the highest DIN security level (P-7). All SMC models meet NSA/CSS specifications and are US DOD approved. Space saving High Capacity shredder with unique feed hopper for bulky material. Equipped with a conventional feed slot for flat paper stacks. Cutting width: 16 7/8", Cutting height: 3/4". Manual table top cutter offers the highest quality and featrues the exclusive SCS (Safety Cutting System) to provide for operator safety. Cutting width: 16 7/8", Cutting height: 1 1/2". Manual table top cutter offers the highest quality and featrues the exclusive SCS (Safety Cutting System) to provide for operator safety. Cutting width: 16 7/8", Cutting height: 1 1/2". Dependable semi-automatic tabletop cutter with electric blade drive, manual fast-action clamp, and EASY CUT blade activation. Cutting width: 18 3/4", Cutting height: 2 3/4". Manual table top cutter offers the highest quality and featrues the exclusive SCS (Safety Cutting System) to provide for operator safety. Cutting width: 18 5/8", Cutting height: 3". Powerful, semi-automatic cutter with electric blade drive, manual spindle clamp, and EASY CUT blade activation. Manual Check Protector - Reconditioned - best seller with 8-column print capacity, replaceable ribbon cartridge and accommodates business and personal checks. Manual Check Protector - Reconditioned is the ultimate in "contemporary" check writing security. 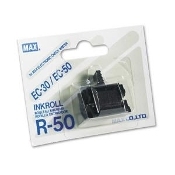 Replaceable ribbon cartridge and accommodates business and personal checks. 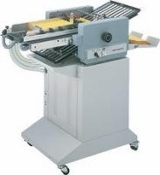 Postmark model 3010, light to medium duty, 9000 letters per hour, Chadless cutting system. Model 3066 Milling cutter letter opener. Floor model with receiving tray. Opens up to 28,000 letters per hour. Model 3068 Milling cutter letter opener with 4 different types of counting, Normal, Batch, Rate and Life counter - all integrated. Variable Speed, receiving Tray, Floor Model with working area and stand. Opens up to 32,000 letters per hour. #ERC30B. 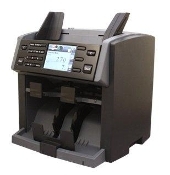 Fits Epson ERC30,34,38 models and many more. #905XL. Fits Burroughs Models T2879/T8859/T8889/T9859/T9879/T9889. #7994 - Ribbon - Black/Red. Fits Paymaster Model 8025 Check Signer. #7879 - Ribbon - Black/Red. Fits Paymaster Models 8500-7 & 8500-9 Check Writers. #7949 - Ribbon - Black/Red. 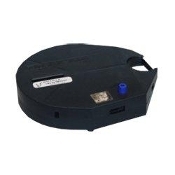 Fits Paymaster Models 9000-8 Check Writer. #7529 - Ribbon - Black/Red. Fits Paymaster Models 9000-9/10/11 Check Writers. #C650 - Ribbon - solid colors available in Black and Purple. 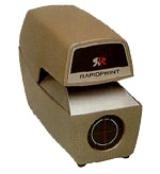 Fits Rapidprint C650 Check Signers. #724 - Ribbon - Solid Colors. 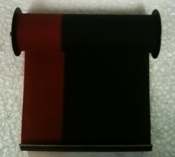 Fits Rapidprint Models C724-E and C724L-E.
#C650T - Ribbon - Tri-Color(Purple/Red/Green). Fits Rapidprint C650 Check Signers. 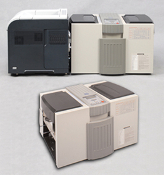 The Scan Coin SC350 fills an important gap between heavy-duty counters and small backoffice machines. 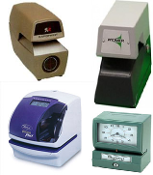 Heavy Duty Currency Counters are designed for mid to high volume applications and are used by a wide variety of industries all over the world. Count Speed: 1000 notes per minute. 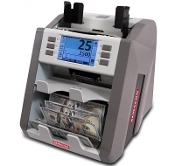 The Semacon S-120 Coin Counter is a quiet, high-speed coin counter and packager with an easy-to-use interface. The Semacon S-120 is also designed for portable use. 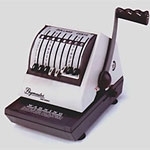 High-Speed Currency Counter for medium to very high level usage volumes, 3 speed settings, batch stop setting, 10 button numeric keypad. Count speed: 800/1200/1600 Notes per Minute. 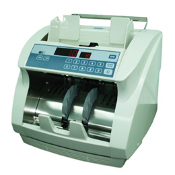 The Semacon S-140 Coin Counter is a quiet, high-speed coin counter and packager with an easy-to-use interface. The Semacon S-140 is a stationery high capacity machine with an auto feed hopper. Ultra high speed counting and are manufactured with high performance, full duty cycle components designed to run 24/7 for years in the harshest environments. Count Speed: 800/1200/1600 Notes per Minute. The Semacon model S-2500 features heavy duty construction, a precision banknote feeding system and advanced image processing technology. PLEASE CALL FOR CURRENT PRICING! 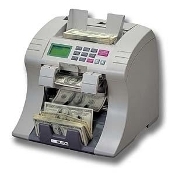 Automatic Currency Authenticator / Counterfeit Detector pinpoints counterfeit suspect US banknotes. The Semacon S-960 is compact in size. Rapid pass/fail indication. Rechargeable battery. #PB6 - Gussetted Poly Shred Bags for Industrial Shredders. #PB11 - Shred Bags on Rolls for Intimus and Olympia Shredders. #901BAG - Gussetted Poly Shred Bags for Large Office Shredders. #922 - Poly Shred Bags for MBM/Destroyit Model 4107. #921 - Poly Shred Bags for MBM/Destroyit Model 4605. 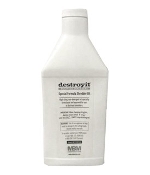 #923 - Poly Shred Bags for MBM/Destroyit 5009 (old style). 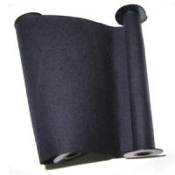 #PB3 - Gussetted Poly Shred Bags for Medium Office Shredders. #PB9 - Intimus Shred Bags on Rolls for Shredder Balers. 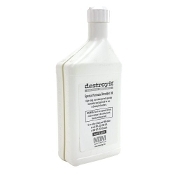 #ACCED21/G MBM Destroyit Shredder Oil - Gallon Size (128 oz.) bottle. For all Paper Shredder Models. 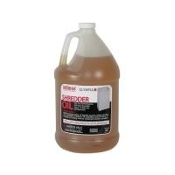 #ACCED21/6 - MBM Destroyit Shredder Oil - 32 oz. bottle. For all Paper Shredder Models. 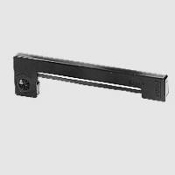 #88100122 - Standard Register Check Encoder MICR Ribbon(Box of 6). Standard yield -Yields Approximately 65,000 Characters Each. 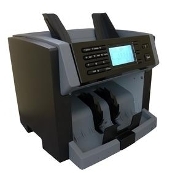 Desktop Encoder with journal printer for encoding and adding check amounts. With the Standard Register TE1916 MICR Check Encoder, you can print the highest quality MICR lines.